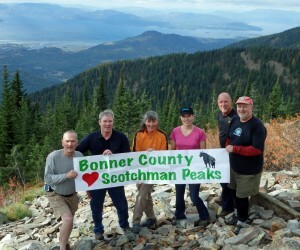 Bonner County Loves the Scotchman Peaks! As appeared in the March 7, 2018, Bonner County Daily Bee and March 15, 2018, Sandpoint Reader. As a Marine Deputy on Lake Pend Oreille for the Bonner County Sheriff’s Office for 18 years, an avid skier with more than 1,200 days skiing at Schweitzer, and a sailboat owner for eight years, I have spent thousands and thousands of hours enjoying our lakes, rivers, and mountains. The recreational opportunities and the natural beauty of this area are the main reasons my wife and I moved here 25 years ago. While patrolling or sailing the waters of Lake Pend Oreille, I was always in awe of the natural beauty of this place. While many changes have taken place in the past 25 years, one area I would not like to see changed is the Scotchman Peaks area. I’ve come to believe that this area is special and needs wilderness protection in order to pass this natural wonder on to our kids and grandkids. I first hiked in the Scotchman Peaks area with a neighbor in 2010. I can honestly say that the view down from the high country is just as stunning as the view up from the water. I think I speak for Idaho when we agree that it’s the kind of place we cherish for hiking, hunting, horse-back riding and the like. This area was first identified for possible wilderness in the 1970’s and has been managed that way ever since. As a Bonner County Commissioner I saw a strong consensus among county residents that wilderness was the best use of this land. Support included not only outdoor enthusiasts, but also those representing economic interests such as the Idaho Forest Group. I received more positive support for this issue than any other during my term as Commissioner. As I recall, only a few negative comments came to me, and those were concerns about bringing more people into the area. In March 2015, the Bonner County Board of Commissioners approved a resolution of support for Congressional legislation that would safeguard roughly 14,000 acres of the Idaho Panhandle National Forest, encompassing Scotchman Peak — 7,009 feet, the highest point in Bonner County. 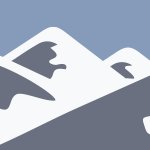 Sen. Risch and his staff supported this vision and in 2016, developed a Scotchman Peaks wilderness proposal that would provide permanent access to traditional Idaho uses like hiking, hunting, fishing, horseback riding, camping, trapping and berry picking. Sen. Risch also directed his staff to hold open houses around the county so that every single one of us could find out more about the legislation that could finally bring lasting protection to an area we all hold so dear. Now, Bonner County voters have another chance to do their part to preserve the Scotchman Peaks. The current county commissioners have decided to put the question of support to the voters in the primary election on May 15. Voters will be asked this question: Do you favor Senator Jim Risch’s proposal for congressional designation of a 13,960 acre Scotchman Peaks Wilderness area in Bonner County? Please join me in voting “In Favor” of Scotchman Peaks Wilderness. 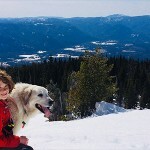 Cary Kelly is an avid skier, outdoorsman and the former Chairman of the Board of Bonner County Commissioners. Thank you for your informative article! We will join you in voting YES for Scotchman’s Peaks.